Cirrus Cloud seeds identified – will help in climate knowledge | Watts Up With That? CAMBRIDGE, MA — At any given time, cirrus clouds — the thin wisps of vapor that trail across the sky — cover nearly one-third of the globe. These clouds coalesce in the upper layers of the troposphere, often more than 10 miles above the Earth’s surface. Cirrus clouds influence global climate, cooling the planet by reflecting incoming solar radiation and warming it by trapping outgoing heat. Understanding the mechanisms by which these clouds form may help scientists better predict future climate patterns. Now an interdisciplinary team from MIT, the National Oceanic and Atmospheric Administration (NOAA), and elsewhere has identified the major seeds on which cirrus clouds form. The team sampled cirrus clouds using instruments aboard high-altitude research aircraft, analyzing particles collected during multiple flights over a nine-year period. They found that the majority of cloud particles freeze, or nucleate, around two types of seeds: mineral dust and metallic aerosols. The absence of certain particles in the clouds also proved interesting. While scientists have observed that substances like black carbon and fungal spores readily form cloud particles in the lab, the team detected barely a trace of these particles in the upper atmosphere. Cziczo and his colleagues have published their results this week in Science. Cirrus clouds typically form at altitudes higher than most commercial planes fly. To sample at such heights, the team enlisted three high-altitude research aircraft from NASA and the National Science Foundation (NSF): a B-57 bomber, a DC-8 passenger jet, and a G-V business jet, all of which were repurposed to carry scientific instruments. From 2002 to 2011, the team conducted four flight missions in regions of North America and Central America where cirrus clouds often form. Before takeoff, the team received weather forecasts, including information on where and when clouds might be found. For each mission, Cziczo and Karl Froyd, of NOAA’s Earth System Research Laboratory, mounted one or two instruments to the nose of each plane: a single particle mass spectrometer and a particle collector. Each flight followed essentially the same protocol: As a plane flew through a cloud, ice particles flowed through a specialized inlet into the nose of the plane. As they flowed in, the particles thawed, evaporating most of the surrounding ice. What’s left was a tiny kernel, or seed, which was then analyzed in real time by the onboard mass spectrometer for size and composition. The particle collector stored the seeds for further analysis in the lab. After each flight, Cziczo and his colleagues analyzed the collected particles in the lab using high-resolution electron microscopy. They compared their results with analyses from the onboard mass spectrometer and found the two datasets revealed very similar cloud profiles: More than 60 percent of cloud particles consisted of mineral dust blown into the atmosphere, as well as metallic aerosols. Cziczo notes that while mineral dust is generally regarded as a natural substance originating from dry or barren regions of the Earth, agriculture, transportation and industrial processes also release dust into the atmosphere. He adds that some global-modeling studies predict higher dust concentrations in the future due to desertification, land-use change and changing rainfall patterns due to human-induced climate effects. Cziczo’s team also identified a “menagerie of metal compounds,” including lead, zinc and copper, that may point to a further human effect on cloud formation. “These things are very strange metal particles that are almost certainly from industrial activities, such as smelting and open-pit burning of electronics,” Cziczo adds. Lead is also emitted in the exhaust of small planes. Contrary to what many lab experiments have found, the team observed very little evidence of biological particles, such as bacteria or fungi, or black carbon emitted from automobiles and smokestacks. Froyd says knowing what particles are absent in clouds is just as important as knowing what’s present: Such information, he says, can be crucial in developing accurate models for climate change. During the study, led by scientists at the Massachusetts Institute of Technology and the National Oceanic and Atmospheric Administration, the researchers conducted flight missions from 2002 to 2011 over North America and Central America at 20,000 to 50,000 feet elevation, where cirrus clouds often form. As their planes flew through the clouds, researchers captured and heated the ice crystals, which then evaporated, leaving behind a tiny kernel that they analyzed using an onboard mass spectrometer. “Cirrus clouds are complicated but the important message is that dust and certain metals provide the seeds for a majority of the ice crystals that form the clouds,” said Cynthia Twohy, an Oregon State University atmospheric scientist and co-author on the study. “Other particle types – including bacteria and soot from human-produced combustion or natural sources – don’t seem to contribute much to the nuclei of cirrus crystals. Despite the length of the study and its different geographic locations, the researchers found similar outcomes: About 60 percent of the cloud particles they analyzed could be traced to mineral dust blown into the atmosphere, or to metallic aerosols. Twohy said the scientists have not yet traced the origin of the dust to see how much of it came from natural versus anthropogenic causes. The metallic aerosols, she added, are unusual and may be easier to trace to specific sources. Containing elements like lead, zinc, tin and copper, they appear to be from industrial activities, according to other scientists in the study. This research was funded by NASA and the NSF. Formation of cirrus clouds depends upon the availability of ice nuclei to begin condensation of atmospheric water vapor. While it is known that only a small fraction of atmospheric aerosols are efficient ice nuclei, the critical ingredients that make those aerosols so effective has not been established. We have determined in situ the composition of the residual particles within cirrus crystals after the ice was sublimated. Our results demonstrate that mineral dust and metallic particles are the dominant source of residual particles, while sulfate/organic particles are underrepresented and elemental carbon and biological material are essentially absent. Further, composition analysis combined with relative humidity measurements suggest heterogeneous freezing was the dominant formation mechanism of these clouds. And from 2001 to 2010, the team ran around pleading for funding for flights going no where? Four doesn’t seem like many flights, in a decade. Interesting data, though. I would have expected more organic dust. Good to hear the Canberra is still finding useful employment. This study, further nails the lid of the CAGW coffin. 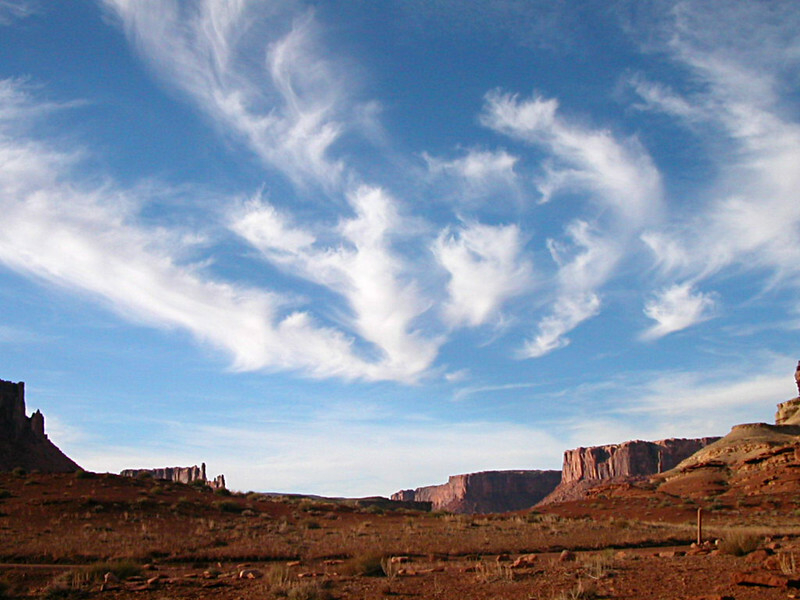 If CAGW causes desertification and deserts supply the seeds for more cirrus clouds. Cirrus clouds help cool the planet, EUREKA, problem solved!!!! So cirrus clouds both heat and cool the atmosphere? So no real effect then. If these clouds reflect radiation then there is less going to the surface to heat that and less available to radiate out and be retained to maintain surface heat. I would maintain that the overall effect would be cooling. Are these researchers finding what they want to find? I do not think science works on hopes and wants. @ Bloke Down the Pub. Yes anr as usual our American cousins rapidly claiedm it as American. They did the same after WWII with the designs by Miles Aircraft Company. They has done lots of research on flight beyond Mach1 and produced some brilliant designs which our friends over the water pinched and prevented future research in that area for so many years so they could catch up. The Miles company folded at this time. Sorry for the typos above, finger trouble. Mining, smelting and industrialization have NOT increased in North America. Smelting is completely gone, and the other two are drastically down, since Comrade Nixon and Comrade Bush Sernior mobilized the EPA terrorist army to destroy America. There is something that I have been thinking about for some time and I wonder if anyone here has any thoughts about it. There is probably nothing original about this but I don’t recall seeing this idea anywhere. The glacial periods have often been described as dry and dusty. Is it possible that various drying cycles in North Africa, South America, and elsewhere, perhaps arising from orbital mechanics, send dust into the atmosphere and act as a feedback mechanism to increase the cooling during these periods? The dust not only would increase reflectivity but also would fertilize the oceans and remove CO2 from the atmosphere. Wet periods in these areas would reverse these trends. Essentially I am not arguing against the Milankovitch cycle but just that dust might be an important feedback mechanism in the transitions. More straw-grasping, agenda-driven climate “science”. 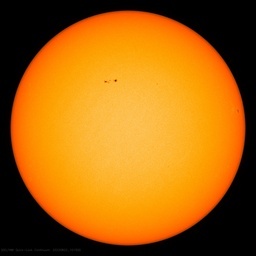 They desperately need an out; an “explaination” for the lack of warming the past 16 years. Yeah, their precious GCMs aren’t working out very well, and they desperately believe that they just need some tweaking to save them. Perhaps this would give cause for more climate researchers to get off their duffs and go out into the field. But perhaps not, I mean, why bother doing anything that could make you tired or uncomfortable if the funding is coming anyway. Dr. Roy Spencer and the UAH team did some really good work on cirrus clouds back in 2007. Here is a link to an article in Science Daily . Why do they assume metals are from industry? Even the UNEP knows about dust from deserts…. Dust can be carried over thousands of kilometres by strong winds (Figures 3.1 and 3.2). Dust emitted in the Sahara can be carried across the North Atlantic to North and Central America, and even to the Amazon basin. Large amounts of Asian dust are carried over the North Pacific toward the mid- Pacific islands and North America. The lifetimes of atmospheric dust range from less than a few hours for particles larger than 10 µm, which are quickly removed by gravitational settling, to 10-15 days for submicron particles that are mostly removed by wet deposition (Jickells and others 2005). Depending on their size, distribution and refractive properties, dust particles in the atmosphere partly reflect and partly absorb incoming solar radiation (Sokolik and others 2001). Thus, dust blown away from deserts and over oceans increases the reflectance in an area in which the dark ocean surface would otherwise be absorbing radiation, and thus the atmosphere over the oceans is cooled. When desert dust reaches heights above 5 km, it absorbs and reflects back to space some of the solar radiation, and so warms the mid-troposphere (Kishcha and others 2003) at the expense of cooling the lowest levels. This generates a downward airflow that exacerbates desert conditions. The added dryness can lead to more desert dust, thus amplifying the initial effect. Desert dust particles can impair precipitation from potential rain clouds, and keep the desert drier, dustier and even less favourable to precipitation in a reinforcing feedback loop, which further increases dust generation by deserts and the likelihood of its transport to non-deserts. Far away from deserts, the transported dust may suppress precipitation from convective clouds by inhibiting the formation of raindrops (Rosenfeld and others 2001). Finally, desert-generated dust may reduce visibility to the point of seriously interfering with ground and air traffic away from deserts. Persistent dust storms also increase the incidence of respiratory diseases (Gyan and others 2005). In general, both climate change-induced increasing aridity of deserts and increasing wind speeds will increase overall dust emissions from deserts. In deserts where rainfall is predicted to decrease, concurrent loss of vegetation cover will allow more dust emissions to non-desert areas. In deserts where rainfall is predicted to increase, desert dust flux will be reduced, sustaining, in turn, wet conditions away from deserts (Lioubimtseva and Adams 2004). Yet, due to uncertainties, projections of dust emissions for the next 100 years range between a 60 per cent decrease to a 50 per cent increase in dust emissions (Mahowald and Luo 2003). According to theory (and Roy Spencer), the cirrus clouds warm the planet while lower clouds reflect the sunlight. Therefore an increase in mineral dust and cirrus clouds would tend to warm the planet. Oh NO, we’re DOOMED (again) !! Suggesting that one should not trust lab results until they are confirmed by actual observations. Where oh where is the tropical hotspot that all climate models predict as the fingerprint of global warming? Why is any trust placed in climate models when one of their central predictions has been seen to be false? In science when a theory fails to predict correctly, the theory is wrong. No ifs, buts, or otherwise. The climate models are not modelling reality, they are modelling a radiative theory of climate, and that theory has been shown to not hold true. Convection, not radiation rules our climate. Increase the radiation, warming increases but vertical circulation also increases to counter the warming. Negative feedback on a massive scale. Decrease the radiation, vertical circulation also decreases to counter the cooling. Negative feedback on a massive scale. With these changes in vertical circulation comes a change in the vertical transport of water, which means changes in rainfall. A warming planet is going to be wetter and a cooling planet dryer. Again large negative feedbacks as the energy of evaporation and condensation is carried away from the surface and into the atmosphere and at least 1/2 of it is radiated to space by GHG. This energy being radiated to space by GHG is energy transported from the surface not be radiation, but by circulation. Our fascination with radiation is a byproduct of the atomic age. Radiation captured the public imagination as something dangerous. Thus was born the scare over radiation from CO2. Radiation that computer models predict will fry the earth. Radiation which for hundreds of millions of years nature has had no problem dealing with. Such as all those farmers who are preventing dust and erosion? James Cross – I have thought about your question also and would add this: Since more of Terra Firma is exposed during the glacial periods, any winds would stir up additional dust to add to the atmospheric aerosol level; so the question remains as to which affect is more preponderant during those times – cooling as a result of photon reflective nature of dust or warming due to its GHG delaying properties. What about the large herd of animals that occurred before white man arrived? I wonder how this might affect the cosmic ray hypothesis. If most of the cirrus cloud nuclei are mineral dust or metals, presumably generated at the earth’s surface, then it becomes less likely that the nuclei are built up from energetic particles entering from space. But perhaps there are enough non-cirrus clouds to still allow the hypothesis to survive for a time. 1) The main mechanism for forming ice nuclei in cirrus clouds is not homogeneous freezing (from supersaturated aqueous solutions of sulfates and organic materials, the majority of atmospheric aerosols), but rather heterogenous freezing (freezing of water vapor on a particle). Since global models have generally assumed homogenous freezing, they give undue attention to soot and biomass burning as sources of CCN (cloud condensation nuclei). The authors explicitly recommend that models drop soot and biomass from future consideration. 2) The main anthropogenic contribution may be the metallic particles (Pb, Zn, Sn, Cu, Ag, Mo) perhaps from mining, responsible in recent flights for 9-26% of the total ice nuclei. The authors say that their ice-forming potential has not been well studied in the laboratory (except perhaps for lead, which is quite efficient) and therefore to be able to judge anthropogenic influence on cirrus clouds the lab studies would be important to do and incorporate into models. 1) over 60% came from mineral dust and metals. They tell us also what was not found. But what were the other 40% made up of? 2) A recent paper reported on here at WUWT talked about VOC ( Volatile Organic Compounds ) emitted by trees as being a significant contributor to cloud nucleation. From the description of the method it looks like these would not have been detected by this experiment? But now it turns out that the first group does not easily contribute to cirrus clouds whereas metals are pretty important. It seems that we are back to square 1 in understanding clouds. On the other hand, throwing out bad assumptions is not a bad way to start making progress. No wonder the models were making no progress in understanding clouds all this time! What proportion of the condensation nuclei were of cosmic origin? ‘Mineral dust and metallic aerosols’ are vague terms. Either could refer to micrometeorite debris. Cziczo talks like a man on an environmental mission – hardly very scientific. The seeding by metallic compounds is unexpected. Although the emphasis on anthropogenic sources is somewhat misplaced. Dust suppression systems are now standard in developed world mine sites for H&S reasons. So the trend of atmospheric particles from mining is almost certainly down over the last 20 years. The same for smelting in the developed world. Assuming Dr Spencer is correct and cirrus clouds have a net cooling effect, then industrial activities are unlikely to be the cause of the recent flat global temperatures. If anything, the opposite should be true – less cirrus clouds and some warming. Perhaps they are correct that open pit burning of electronics in the developing world is an important source. There are vastly more electronic devices in the developing world, than there were even 10 years ago. Anthony I remember back in the 90’s before 911 there was a climate scientist in the US tring to collect data to prove his theory about the shaddowing effect created by air traffic. The one block to his research was he could not get a window were all trafic could be stop at the same time so he could get a good reading. Then came 911 and all air traffic over American skys was stop for 2 day’s and he got he’s window. If my memory serves me right he proved the shaddowing effect from air traffic is a reality . The concord was pulled not because of it crash but because of the it’s Ozone destruction. So did Obama pull the shuttle for the same reasons ? This dust is important in terms of oceanic fertilizer. Its best production occures with dry wind over dry land. If anything, we humans have decreased dust production. The use of cover crops to keep fallow ground from being blown away is a common practice. However keeping the dust on the ground may not be in our best interests. Hows that for human-caused negative impact on the Earth!!!! In our overzealous desire to not leave our footprint, we are starving the food chain. Oops, there goes Richard Courtney’s claim it is sulfur dioxide-based aerosols e.g. from combustion of aviation jetfuel, which can commonly nucleate cirrus. I know that theory states that cirrus clouds contribute to surface warming but these clouds have an albedo so must reflect energy from their levels back to space thus reducing available energy to heat the surface. The only difference between cirrus and say stratus is cirrus is composed of ice crystals ans stratus from water particles. Well John (Marshall) it’s supposed to be like this: if there’s more light reflected away of all colors, as in daylight hours, then those cirrus are warming. If there’s more light coming from inside, as at night, and they’re blocking light getting out, (infrared light in earth generated frequencies) then that’s warming. And since there’s several times as much light blocked, coming in, that’s more warming the clouds contribute to. And, of course, since there’s only a small amount blocked when they are not there, that’s warming. So if they are there, that’s more warming. If they aren’t there, that’s more warming. and if it’s night then that’s more warming. as well as, economic forecaster using detailed models of Al Gore’s Alternative Energy Portfolio depicting the Earth as flat, using fire as sin, and sunlight devoid of any heat content at all. and that the oceans are boiling, but disbelief is causing it to go unnoticed by instruments and disbelievers. The team sampled cirrus clouds using instruments aboard high-altitude research aircraft, analyzing particles collected during multiple flights over a nine-year period. Well I for one hope that this does have some implications for geoengineering or even some control over the weather. To be totally honest, I don’t care what they found. What amazes me is that it took a 50 year old (64 if you count it’s teenage years) to find it. What exactly is a metallic aerosol? Are they talking vaporized elemental metals and these comprised nearly 40% of the nuclei? Hard to believe such a mass of metals could remain elemental very long. I suspect they are really talking about metallic silicates that have weathered from rocks representing the chemical composition of the planet into the desert basins where dust is predominantly raised.